Pearson Construction, LLC (dba Pearson Seamless Gutters) has been in business since 1991, serving several counties in upstate NY and northern PA. David Pearson, the owner of Pearson Construction, has chosen to focus primarily on the installation of gutters and Gutter Helmet®, and has recently added the SunShade Retractable Awning by Gutter Helmet® this year. We install Gutter Helmet exclusively because we know that it is a tried and true product that is the most effective gutter guard on the market. The patented system keeps all manner of debris out eliminating the need for gutter cleaning and preventing water damage to your home. Pearson Construction is a small company that provides work for 1-2 crews year-round. In addition to office staff, we also have a full-time sales manager. We believe in properly training all personnel and requiring all principal installers to be Gutter Helmet® certified. 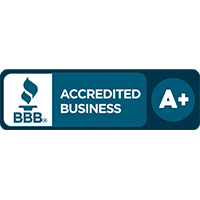 Pearson Construction is a member of the Better Business Bureau and has a maintained an A+ rating for the past several years. We strive to provide excellent customer service and are committed to quality products and workmanship. In addition to the Better Business Bureau, we are members of other professional organizations as well, including the NFIB. Pearson Construction has invested a lot of revenue in advertising over the past several years. Currently, we are running ads on TV in addition to print ads, signs, logos on all vehicles, and a well-maintained website. For more information on Pearson Construction, visit pearsonseamlessgutters.com. Contact us soon to learn more about our services or request a quote. Call (800) 824-3772 of fill out the online form on this page. We look forward to hearing from you!